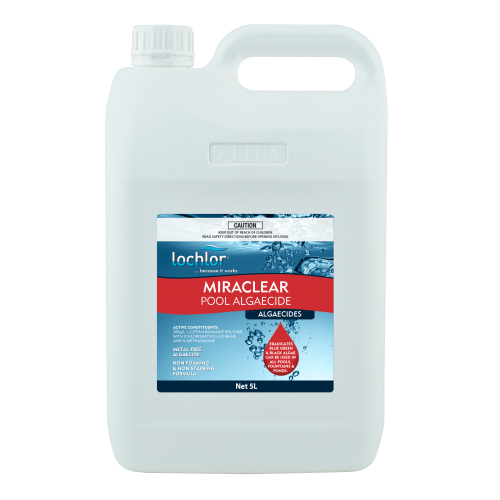 Lo-Chlor Miraclear Algaecide does not contain any trace metals.It is therefore ideal for Ionised pools and Nature 2 pools and spas. 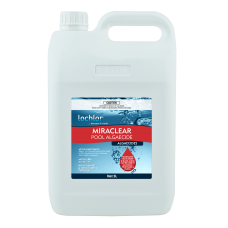 It is non foaming and non staining so is an ideal algaecide for fountains and ornamental ponds. Unlike other non copper algaecides it does not contain Alkyl Dimethyl Benzyl Ammonium Chloride. It is therefore ideal for salt pools and pools with high combined chlorine levels.